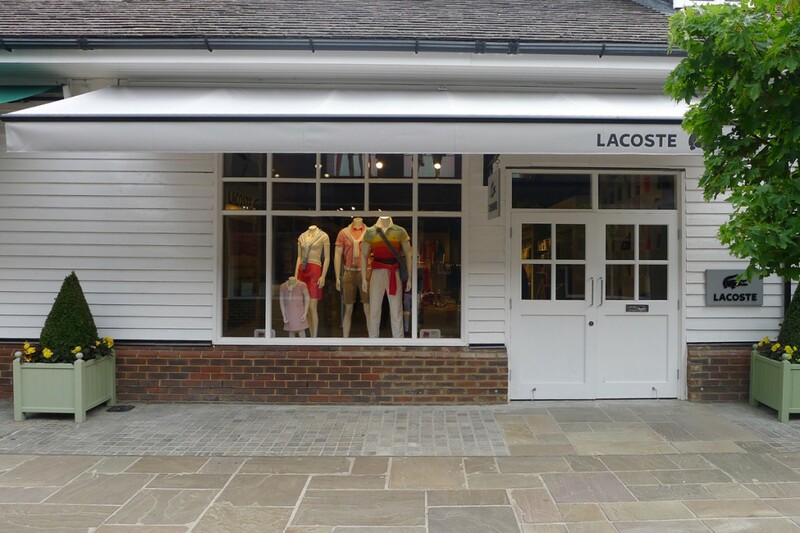 The store in Bicester Village is an example of into’s repeated work with Lacoste which covers multiple UK sites. The double height ceiling combined with a lower ceiling height at the rear meant light output needed to be carefully considered to evenly illuminate both spaces. 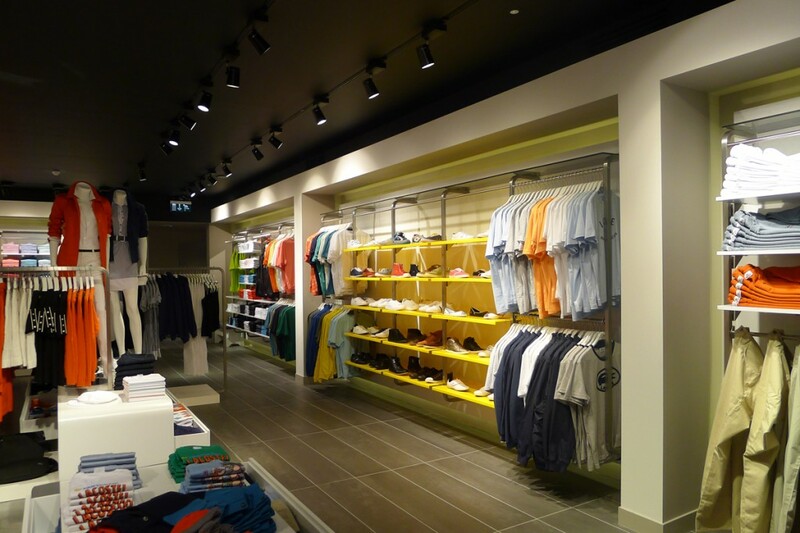 A double ring system of track-mounted spotlights provides lighting to the rear of the store with metal-halide sources angled to illuminate the displays. Large circular stylised feature pendants of varying sizes fill the space in the top tier of the double height space to the front of the store. 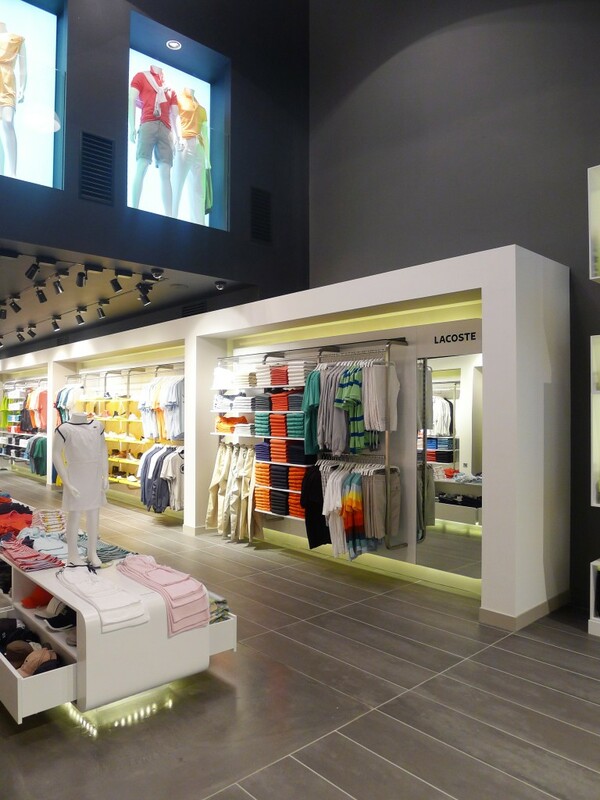 To create a retail look synonymous with a high-end brand, linear LED was designed to wrap around the base of floor displays and concealed within wall displays. 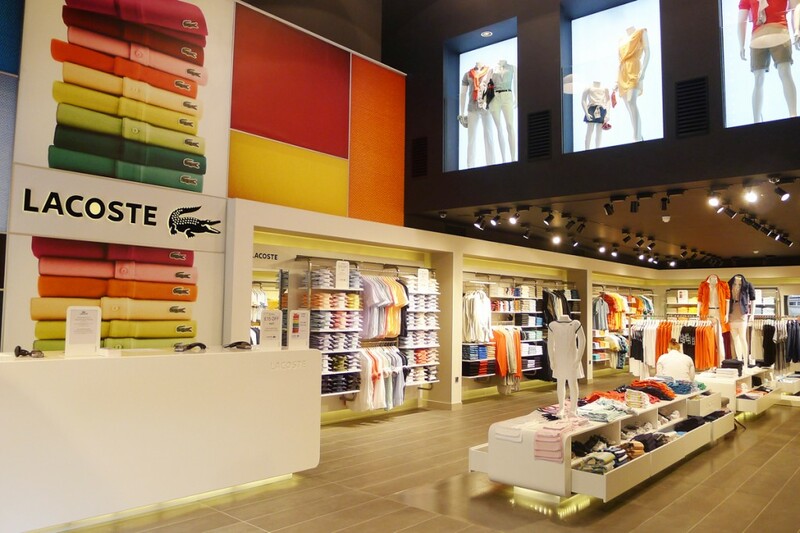 into has worked with Lacoste on both high street sites and flagship sites around the UK. 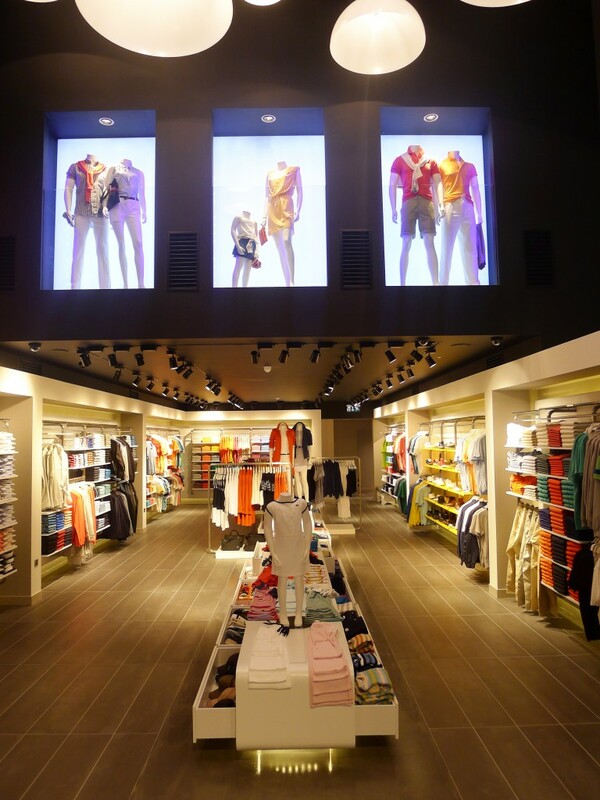 The store at Bicester Village has a lighting design that realises the brand vision for a modern, crisp, inventive and high-end interior.